I love ballet. I grew up dancing and like many little girls, dreamt of being a ballerina. Dance creeps into my artwork quite often, whether it’s the tilt of a head, the pose of a hand, or, like this week’s Crudoodle, a figure dancing. 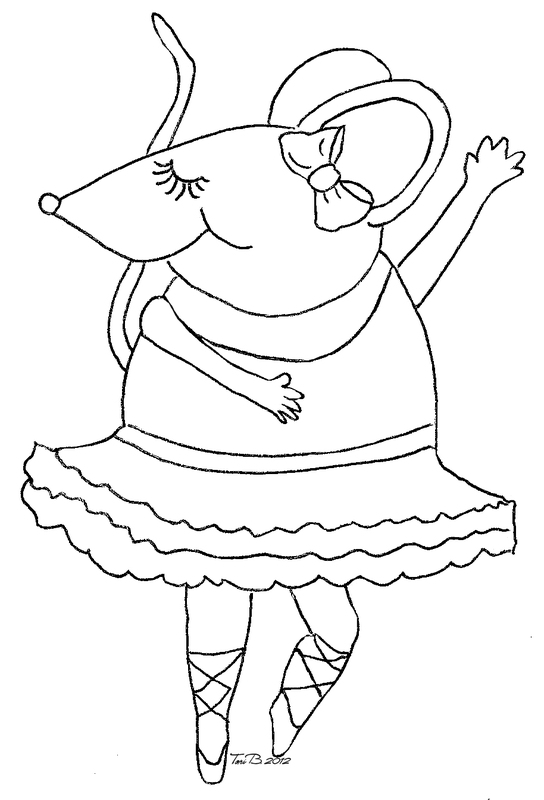 This week’s Free Crudoodle Digital Stamp is a darling little Ballerina Mouse. 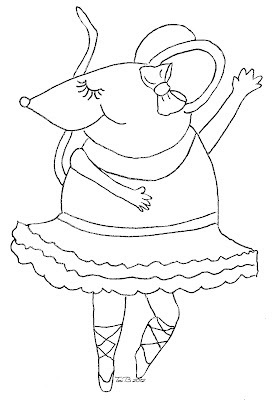 To save Ballerina Mouse to your computer, click on the preview above to open the full size image. Right click on the picture, and save to your computer. Thank you so much for this post. I want to let you know that I posted a link to your blog in CBH Digital Scrapbooking Freebies (please, notice the new url for my blog), under the Page 4 post on Jul. 30, 2012. Thanks again. I adore this cute ballerina mouse! Mice are the greatest. 🙂 Thank you so much for sharing her with us! I'll try to send pics when I get a chance to make some things with her on them! Such a cutie…thanks for sharing!! Thanks Tori! Super cute ballerina mouse! She is sooooo… cute. Thanks. Saw this on Craft Gossip, and I had to have it! Thanks for your generosity!